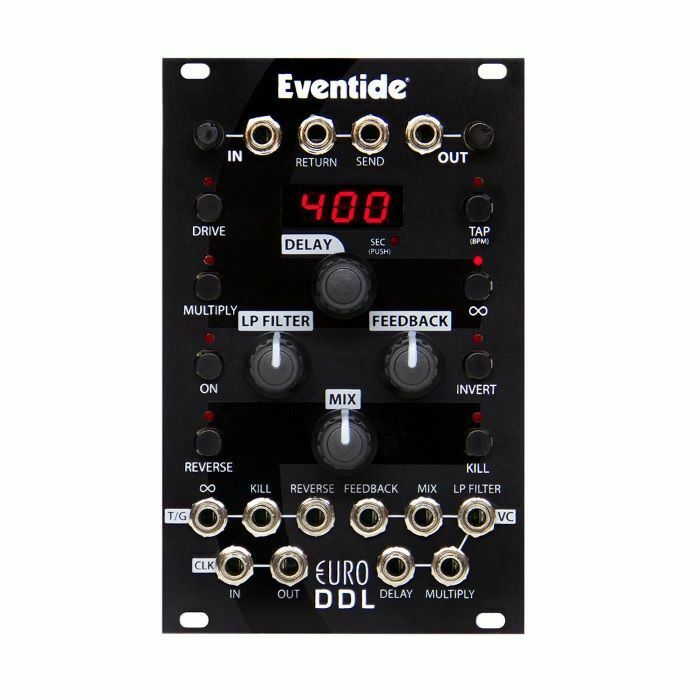 EVENTIDE Eventide Euro DDL Delay Module vinyl at Juno Records. Lines open in 9 hrs 6 mins. Designed for performance, the EuroDDL features external control of every feature and function. It also has been designed to sound less digital than the average delay. 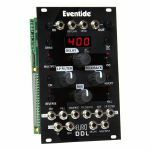 Eventide's old school design strictly limits the amount of digital circuitry to only what's required for delay. Soft saturation clipping, low pass filter, feedback, insert loop, and +20 dB boost are all analogue. Once you hear it, you'll know why this is the ultimate, most musical, Eurorack delay. To be a true performance instrument, all the controls of the Eurorack module must be remote controllable. 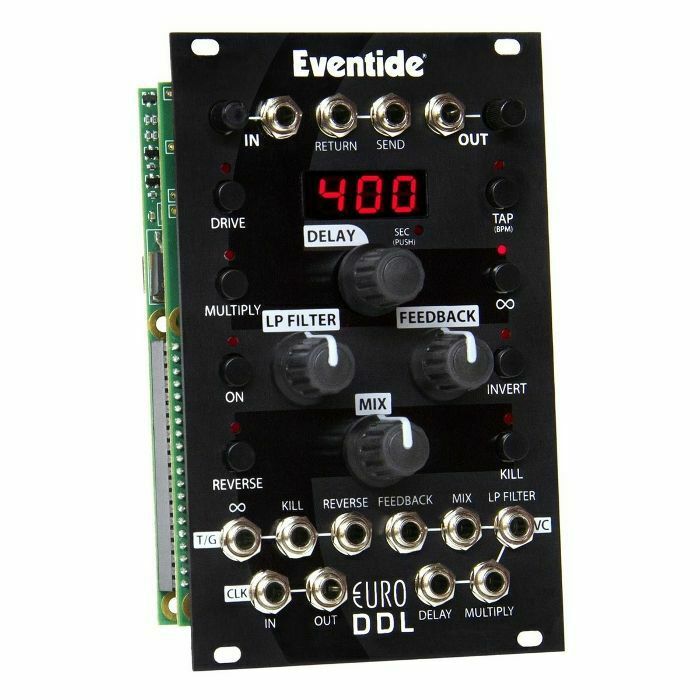 The EuroDDL does just that with jacks to accept control voltages and triggers. It's designed to be played as an instrument. And, it's designed to 'play nice' in the rack with Return/Send and Clock In/Clock Out. This Eurorack delay is well steeped in history. Its ancestry dates back to 1971 when we created the world's first 1745 Digital Delay Line. Back then, everything in audio was analogue except delay, which is why our original delay line was used to synch the audio feeds to the speaker towers at the legendary 1973 Watkins Glen concert. Now that history has been updated to breathe life into your Eurorack. It's the perfect companion for synthesis and any other instrument.